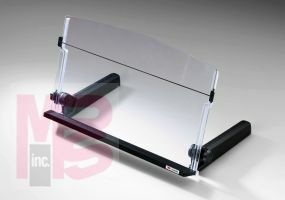 3M DH640 Adjustable In-Line Document Holder Elastic Line Black - Micro Parts &amp; Supplies, Inc.
3M(TM) Adjustable In-Line Document Holder places documents in-line for easy viewing. Elastic line guide marks you place and keeps pages open. The 18" wide backplate and 300 sheet capacity supports just about any size document.